Take a moment and vote in support of the fur industry! VOTE NO!!! “They chanted “Save our jobs! 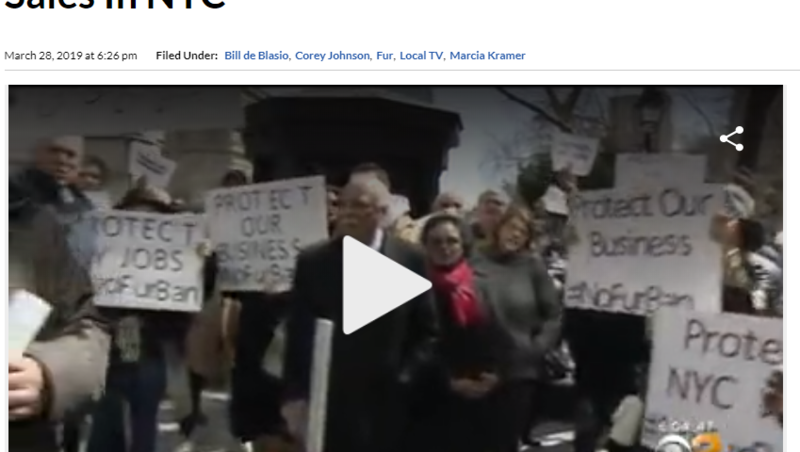 Save our jobs!” Dozens of people who work in the New York City fur industry came to City Hall to tell Council Speaker Corey Johnson to “fur-get” about his proposed ban on the sale of clothing and accessories made of animal skin with hair, fleece, or fur attached.